What is delivery based equity trading? When you buy stocks and hold it overnight, we call it delivery based equity trading. If you buy/sell stocks and exit it before 3.30pm, it is called intraday trading. What type of account is required to trade delivery based equity? You will need a trading account through which you would be buying and selling stocks. Stocks bought would be credited to your demat account and if you have sold delivery stocks, such stocks would be debited from your demat account. Note that demat account is very similar to your bank locker and demat account is required only for trading equity (intraday or delivery) and not for trading F&O. When trading stocks in India, equity settlement happens on T+2 days. ‘T’ meaning the trade day or day you traded. So for example if you bought shares on Monday(T day), the shares will be credited to your demat account on Wednesday( Monday is T day, Tuesday is T+1 and Wednesday is T+2 day). Similarly if you sold the shares on a Friday(T day), the funds will be available for withdrawal on Tuesday (Monday is T+1 day and Tuesday is T+2 day. Saturday and Sunday are not considered as working days). Both the cases above are called as Normal settlement, but once in a while we have these situations when exchanges are open but depositories are closed. Exchanges are where you have your trading account, so you will be able to buy/sell, but since depositories are closed, you will not be able to take delivery of shares on those days to your demat account. On Zerodha, Your stocks on T+1 day will show in T1 holdings, Click here to read the risks of selling stocks before taking delivery from your T1 holdings. On Zerodha, Your stocks on T+2 day will also show in T1 holdings because the delivery of stock happens only on T+2 evening. On Zerodha, Your stocks from T+3 onwards will show in demat holdings. We have 3 stock exchanges in India NSE, BSE, MCX-SX and 2 depositories NSDL and CDSL. What happens when the stock exchanges are open and depositories which hold your demat accounts are closed? It basically causes confusion and this blog is intended to educate you about the same. The stock exchanges are open on Thursday, April 11th 2013, but it is a settlement holiday(depository holiday) on the occasion of Ugadi/Gudi Padwa. Stocks which you had bought on April 9th/Tue would be delivered to you on April 11th afternoon, but April 11th is a depository holiday. So the shares will be delivered to you on April 12th evening. The issue with this is that what you bought on 9th will show in T1 holdings both on 10th and 11th. But on 12th it won’t show you either on T1 holdings or on demat holdings. The reason being it is neither a T1 position nor a delivery position. Since it won’t show up in either T1 or demat, you will not be able to sell these shares bought on 9th on the 12th. You can sell them anytime after 12th. Stocks bought on April 10 (Wed), would reflect in T1 Holdings on April 11 (Thu) and April 12 (Fri). Ideally the stocks would have gotten credited to your demat account on April 12 (Friday Evening) and would have shown in your Demat Holdings from April 15 (Monday Onwards) but since Thursday was a DP holiday, the stocks would be delivered only on Monday (April 15) [T+1 Day being Friday and T+2 Day being Monday] instead of Friday (April 12).This means that stocks bought on April 10 (Wed) would not show anywhere on April 15 [Monday] and would show under Demat Holdings from April 16 (Tuesday) onwards. Click here to see holiday calendar on NSE/BSE/MCX-SX. 1. Stocks bought for delivery day before yesterday, I cannot view/sell it tomorrow(next working day)from either T1 or demat holdings. 2. Stocks bought yesterday, I cannot view/sell it day after tomorrow(2nd working day from today) from either T1 or demat holdings. Hopefully this clarifies any query you might have on the impact of a settlement holiday when the exchanges are open. 1. Stocks bought one day prior to settlement holiday, will not be shown/available for selling on the actual day of the settlement holiday. 2. These stocks will be shown on the trading platform and will be allowed to sell one day after the settlement holiday. These stocks, however will continue to show up on Q, your backoffice on all days. But actually I wanted to continue the position as I initiated the trade by seeing the charts only & accordingly profit target was of 1500 points. I don’t know the trading rules in commodity market as I am very new in the commodity trading ( 15 days only). I just wanted to know what care should have taken from my side to continue the position so that I will take care next time. The blog above is for equity and not for commodity. Don’t mistake the above blog as an answer to your query. Gold futures which you trade on MCX is a compulsory delivery commodity once it hits the compulsory delivery period. Compulsory delivery period happens 5 days before the expiry date. So what this means is that if you trade the 5th June gold future contract, 5 days before this date, gold futures goes into compulsory delivery. What this means is that during this period there is a chance of getting assigned delivery if you are holding a gold future contract. So what this means is that , if you are long gold futures(the big one 1kg), you will have to pay 100% of the amount( around 30lks) and take physical delivery and if you are short gold, you have to give delivery of 1kg of gold as specified by the exchange. The delivery happens in Ahmedabad typically, so all of this can cause a lot of confusion and a possible loss. Hence it is best to square off all positions of gold 5 days before the expiry and roll it over to the next expiry if you intend to continue. Explain the impact of dividend record day due to such holiday.for eg I have purchased shares of REC on 14 th Feb 2018 , it is showing t1 holding today,16 th Feb 2018 is the record date for dividend, will I get dividend or no t? i have query on settlement price of nifty future. say for month of april2013, 25th april at 3.30 pm the closing price of nifty 5916 is the ultimate settlement price ? if i bought nifty fut @ 5900 then my profit would be 16*50 – brokerage.? Sorry for the late response. Yes 16*50 – brokerage and all statutory charges. Check out our Brokerage calculator for this. But in normal case one can sell stock on T+2 or not? Check this post Sachin, you have to use the product type as NRML for holding positions overnight. nithin sir, does settlement holiday have any effect on stock/index futures? No Madhav, doesn’t effect stock/index futures. My query is I bought shares in Equity under the product type MIS and later converted it to CNC. 1. Will I be able to still sell on the T-day under CNC. 2. Is there any charges for making the conversion from MIS to CNC and back on the same day. 2. No, there are no charges for conversion from MIS to CNC and vice versa as many times you want during the day. Then the shares are again considered as T+1 or the trade is considered as MIS and kept in same as T+2…?? shares bought on 31 mar 15 could not be sold today due some settlement. Sam, most people don’t read emails, or end up deleting them. So we update all these on our bulletin: https://zerodha.com/marketintel/Bulletin/. We will start sending out emails from next time. 1) i have 327 shares in my demat i sell 100 shares before settlement holiday, so remaining shares is 227. but now it’s showing 0 shares in holding is that settlement holiday impact ? 3) according to this if i trade same day after selling X company’s shares, the 5000 rs credited in my account after t+2 days so is it risky to trade with 5000rs same day after selling shares. 1. Can u send this query to [email protected] with client ID. 2. You can use it the same day for buying more stocks. 3. Selling shares and buying other stocks with that money is not risky. 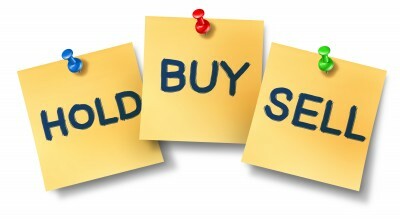 Buying shares and selling it before getting delivery is risky, as chances of short delivery. I am still not understanding why is settlement holiday is even considered in counting T1 and T2 quantities. In case of stocks purchased a day or 2 days before settlement holiday, why does the share vanish altogether after T1 day? In case of settlement holiday, can’t you just consider it as T1 even after 2 days after purchase and allow the transaction normally on the T+3 day? After all T1 means T+1 settlement day. Why do you even consider “number of trading days” instead of “number of settlement days”? For example, this year I bought a share on 9 november and 11 november was muhurat trading which was a settlement holiday. 12 november was also a trading + settlement holiday. So, on 13 when I tried to sell the stock, it had vanished completely as 13 was technically T+3 day (T being 9, T+1 being 10 and T+2 being 11) nut due to settlement holiday, the stock was not delivered and hence it was not shown as holdings or T1. Couldn’t it just be shown T1 ignoring the settlement holiday as a “0th” day? Yep technically possible, will speak to our team and check if any other issues in implementing this. I bought 100 Nos [email protected] under CNC ON 22.12.2015.Stocks purchased on 23 reflected in pi and q-zerodha.how this missed? what is the trading settlement of bank nifty & nifty future in zerodha ? Didn’t get your question. Both these futures settle to the underlying index. I am holding few stocks purchased on 8th of FEB. Can I sell them tomorrow considering tomorrow being Depository Holiday? Expiry settlement happens in case of Stocks also? Suppose I took Jindal Steel Call of Strike Price 60 and it closed at Jindal Steel closed for 60.50 on Expiry Day at 3.30pm, then what will be the settlement method? According to this, stocks bought on 10 would show up in T1 Holdings on 11 (11 being Settlement Holiday) but just a few days ago, I’d bought Havells on 31 March & I couldn’t see it anywhere on 1 April. I even called up your desk to confirm since the margin was still blocked. One more thing, if I bought shares tomorrow (8 April, being a settlement holiday), I presume there will be no problem in selling them on Monday or Tuesday? Sorry but what about shares bought on 8th April? Would I be able to sell them on Monday or Tuesday? Yes, there will be no concerns with shares bought on 8th. You can sell them on Monday/Tuesday. Also note that there is a settlement holiday on April 08, 2016 being Gudi Padwa. However the Equity markets continue to function as normal. In lieu of the settlement holiday, shares bought on April 07, 2016 shall not be available for selling on April 08,2016 i.e BTST transactions will not be available for shares purchased on April 07.2016. As I am a VERY beginner to trading and to Zerodha. I had buy 125 shares of CROMPGREAV but its under T1 holding. Should i able to sell these shares before completion of T1 settlement days ? sir, can we trade in Futures on Settlement day..?? Yes, you can. Settlement holiday doesn’t affect futures and options. I have read this Blog. As per my understanding, stocks bought previous day of the settlement holiday will be shown as T1 holdings on the settlement day. But, in a bulletin (https://zerodha.com/marketintel/Bulletin/279) I could see that stocks I bought on 9th of Dec 2016 could not be sold on 12th of Dec. The 9th Dec is the previous trading day of the settlement holiday on 12th of Dec.
Could you please clarify my doubts. Stocks bought day before settlement holiday won’t show up on T1. If we show it and you sell it, it will lead to you short delivering as stock you bought before settlement holiday will come into your trading account only on T+3. What is the meaning of (T1: 2) before my stock name? Nithin K, I am super frustrated and wanted to talk to you directly. Not sure how i can do it. I transferred some money from my commodity account to bank yesterday and till now 10:30am today, I didn’t receive it in my bank. I wanted to buy a stock and it was at super low.. as of now, it already went up by 3% from lows.. 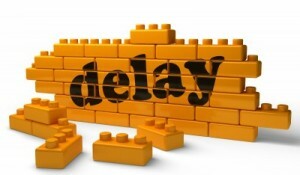 The only reason for my inability to trade is – Your delay in crediting money to my account. Why is that? Why can’t you deposit in 8am batch? An why can’t i receive it in less than 30 minutes? You can work on this with a charge if needed. Secondly, Why is transferring money from commodity to equity account is not possible? If this is govt regulation, then your withdrawal and deposit speeds must be fastened by a 1000 times. Now, I am like, money is there.. but not there.. I have been trading with scottrade (in the US) and zerodha is no where near it in terms of quotes update..
You GOT TO work on it! Equity to commodity is not allowed by SEBI. Quotes update on the terminal is also a function of how many ticks are changing on the exchange and we are also limited by the bandwidth constraints with Indian leased line providers. Comparing US to India may not really be the right way to do this. That said, for fund withdrawals we are working on adding an IMPS option for people who want it much faster. (IMPS would cost a little extra from the bank). Yes, no issues with futures and options. Only for equity/stocks delivery trades can’t be sold. I would like to buy some shares of Hind Zinc on 28th of March 2017,which is a settlement holiday. will I be entitled to get the dividend,if the record date is 30th of March? I am sorry to say,but the answer provided on the matter was not true.I would be certainly entitled to get the divided if I could bought on 28th of March. Hope you people will be take appropriate care to answer such categorized questions,and may please be obliged us with,proper guidance. Thank you very much for the right direction,would have been better if told on the day first. i bought mient share 50 nos ,, they allotted 50 bonus share , when it will show in my holding share list. It depends on the company, 2weeks or more. is Intraday(MIS) can be done on settlement holiday or i have to buy it on cash which is in my account without margin. MIS can be done on settlement holiday. Thanks nithin sir,i want to know that mis can do on settlemnt holiday..and i read all comments and i have got my answer ..it is yes ..but i want to know can we do cnc in option..tomorrow means on settlement holiday…plz reply soon. You can buy in CNC and sell stocks from your holdings. Those stocks bought on Tuesday, 9th May 2017 will not be available for selling on Wednesday 10th May 2017 i.e., BTST transactions will not be available. Can i buy shares in equity on settlement day?? I have bought banknifty option today.Since tomorrow is expiry and settlement holiday,can I sell it tomorrow? Yes,you can. Settlement holiday doesn’t affect Derivative contracts. Manzoor, the weekly contracts are expiring tomorrow. Not to worry. This position is cleared off at the end of the day. does zerodha support good till cancel orders in equity ? I bought nifty 10500 PE option and hold today ..as i got msg by 6:30 pm on Monday delivery buy/ sell not possible bcos of settlement holiday. Or i have to wait for 20 th…?? Yes, you can place intraday trades. Sir , on setllement holiday can we do trading from zerodha ? You’ll receive the margin credit immediately, and you can use this to make new trades. This fund is settled on T+2, so end of Friday. not view in my account . Sir ur system of informing settlement holiday is not good….. u have to inform ur customer before settlement holiday and not in the evening when trading is over before the holiday day…..
Sir, Please ignore my last post. I bought CNC on 28th. Will I be able to sell under BTST on 2nd April. No, that wouldn’t be possible. Hey Anas, that’s because today is a settlement holiday. You should have received an email and SMS from us about this as well. This information is also posted on our bulletin here. Sir I have bought some shares of pc jewellers and ace on 28 March 2018 but it is not showing in my demat a/c? Mcx (commodity) also closed on 30 april 2018 ?? No, MCX will remain open. You can make intraday trades on a settlement holiday, yes. Only BTST trades with shares bought in the previous session wouldn’t be possible. Will I be able to do the intraday trading on Monday 30 April 2018?? Sir I have bought cnc shares friday(today), can I sell on Monday (settlement holiday). Square off my position on Monday. Sir can i do intraday trading smoothly on settlement holiday. No, you cannot sell the stocks bought on Friday on Monday, however, you can trade intraday. I purchased 300 shares of kwality on 27.4.18 . Since 30.4.18 is a settlement holiday, I couldn’t see my kwality shares in my positions but my doubt is, since 1.5.18 is a trading holiday , will my kwality shares shows on 1.5.18 or will it be there on 2.5.18 in my postions?? I am very new to trading. I bought 41 nos of tata steel stocks on 30.04.2018. On may 1st I could not see my stock. And also i did fund transfer before market opening time Rs.50000 mistakely that I forgot the holiday. I could not see this also in my funds. Can you please tell me the reason behind that. WILL SHARES WON’T EVEN SHOW IN POSITIONS TOO. PLEASE REPLY ASAP. Best create a ticket on the Support Portal for account specific queries, Ram. Mai muhurt Trading ke Samay trade Kiya tha cnc me. Mera holding nahi show nahi kar Raha hai. Mai use Kaiser sell Karu. I have bought Infy call option (NRML) today and tomorrow is settlement holiday. Can I sell it tomorrow or should I have to wait ? Settlement holidays wouldn’t affect F&O. One day before settlement holiday , i bought some futures under NRML which i am carrying forward.My question is whether i can sale these futures on settlement holiday. I am asking because when today i called up zerodha executive , he said i can’t sale these futures tomorrow. But in the trailing posts it appears that i can sale the these futures. You can indeed sell futures. Only stocks bought are affected. yesterday i buy stock in cnc mode . and its not moved to holdings why? please i need a information regarding. Sir can I do intraday trading on 01.04.2019 ? I purchased some stocks on 29th March 2019. As per this document I am unable to see those stocks even as T1 on 1st April. No record of it is seen anywhere. Please let me know when can I see those stocks ? Since April 1st was a settlement holiday, the trades from Friday weren’t settled. You’ll see these stocks in T1 today.